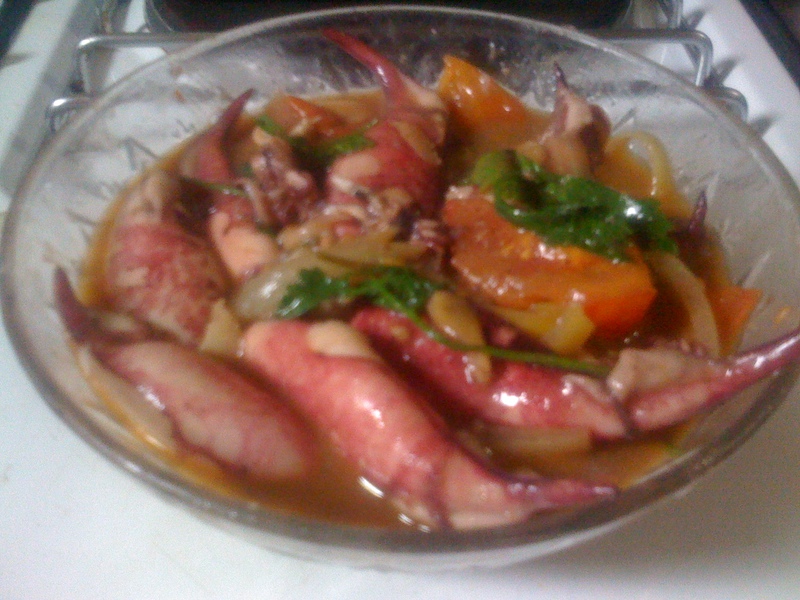 Clean and precook squid in vinegar, chopped garlic, soy sauce and ground pepper to make adobo. Saute onion and tomatoes in cooking oil. Garnish with sprigs of kinchay or cilantro on top. Posted in Seafood. Bookmark the permalink.